The first installment of the Pulitzer Prize-winning graphic novel acclaimed as “the most affecting and successful narrative ever done about the Holocaust” (Wall Street Journal) and “the first masterpiece in comic book history” (The New Yorker). 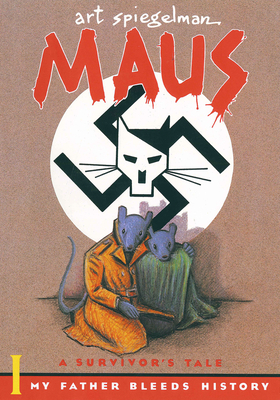 A brutally moving work of art—widely hailed as the greatest graphic novel ever written—Maus recounts the chilling experiences of the author’s father during the Holocaust, with Jews drawn as wide-eyed mice and Nazis as menacing cats. Maus is a haunting tale within a tale, weaving the author’s account of his tortured relationship with his aging father into an astonishing retelling of one of history's most unspeakable tragedies. It is an unforgettable story of survival and a disarming look at the legacy of trauma. Art Spiegelman has been a staff artist and contributing editor at The New Yorker,as well as the cofounder/coeditor of RAW, the acclaimed magazine of avant-garde comics and graphics. In addition to Maus—which was awarded the Pulitzer Prize and twice nominated for the National Book Critics Circle Award—he is the author ofBreakdowns and In the Shadow of No Towers. He lives in New York City with his wife, Françoise Mouly . . . and a cat.